Digital, creative and marketing professionals are in high demand today, but that doesn’t mean hiring managers aren’t using every resource in their arsenal to determine who the strongest candidate is. In fact, according to a recent CareerBuilder survey, 70 percent of employers said that they’re checking social media profiles for red flags. That’s up 10 percent since last year, the survey found. For many, their social media profiles have been active for years and therefore, account owners might not be aware of everything that was made visible to the public at one time or another. There are ways to check what is and isn’t visible, however. Sites like Facebook, for example, have tools that can help you quickly check what the public (and therefore a hiring manager) can see when they find your profile. Simply sign into your Facebook account and click the button below to give it a try. What's public on your Facebook? But, if you’re like the 56 percent of online adults who have multiple social media accounts, you might be asking yourself if isn’t just easier to hide your social presence altogether? Let’s take a look at why this might not be in your best interest. While the idea of flipping a switch and becoming a social media ghost is appealing, it’s not necessarily practical. For starters, the CareerBuilder survey referenced earlier, estimates that about 57 percent of employers are less likely to call a candidate back in for an interview if they don’t have a social media presence. Secondly, recruiters can be instrumental in helping you find a new job. These recruiters rely on social media to help them find qualified candidates for readily available opportunities. Opportunities that you might not be able to find during the course of your typical job search. In fact, a recent Monster survey found a full 84 percent of employers today use social media in their recruitment efforts. Finally, flipping the switch and shutting down your social media accounts means you’re missing out on a huge opportunity. This is a chance for you to be proactive and highlight the career-oriented persona that will help you get that call back. That said, let’s take a look at some steps that will help you turn your social media profiles into yet another positive that you can show off. Takeaway: When prepping your social accounts for a job hunt, avoid the urge to become a ghost. Show off your best qualities, instead. 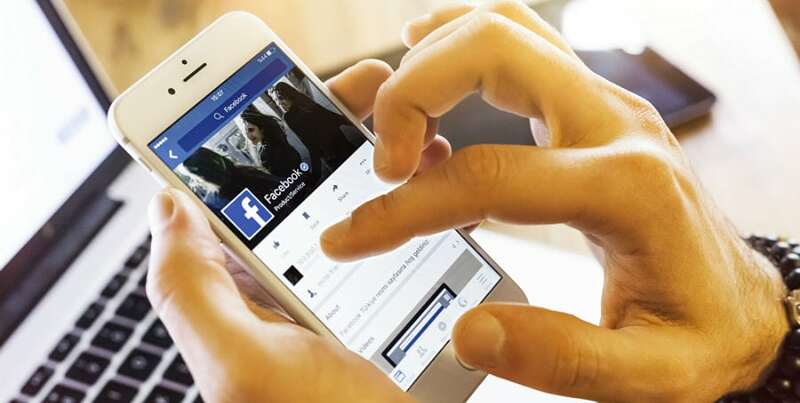 Follow Facebook’s guide on how to limit who can see your previous posts. This will help you limit the time range you need to worry about, without eliminating all recent activity. Consider hiding who can see your friends list by following these steps. Since there’s no way to control what they post, it’s best to err on the side of caution. Turn off search engine indexing using these instructions here. This will help you keep search engines like Google from caching posts you’d rather have forgotten. As it turns out, Twitter isn’t as flexible when it comes to blocking others from looking into your (social media) past. Then again, Twitter is an entirely different beast than Facebook. Rather than allowing you to block others from seeing Tweets from a certain point on, Twitter forces you to choose between one of two options: protected or public. Protected Tweets are only visible to people you approve to follow you after being prompted with a request. Public Tweets are public–anyone can see them, including search engines. If you have previous posts that you’re worried about a potential employer finding, your best bet is to take the time, find those posts and delete them. If you’re not confident that this can be done, your best bet is to set your Tweets to protected using this guide. Once you’re profile is set to protected, only your followers will be able to see your Tweets (even those posted when your profile was previously public). However, search engines could have already indexed previously public Tweets, and those will remain in search engines until indexes like Google’s are updated. If you can’t wait for that and really need to bury a Tweet six-feet deep, you can follow this guide on how to make Google remove links to old tweets. It’s been reported that less than 1 percent of LinkedIn‘s total user base shares content on the platform weekly. So, chances are you won’t have many past discretions, if any, to worry about here. Even so, you still might want to review past activity. However, in this case, you’ll have no other option but to delete posts you no longer want public. Over the years, social media networks have been leading the way on personal data collection, recording information such as where you go, what you eat and who your friends are. Among those who have access to that information are 24 percent of employers who are specifically looking for a reason NOT to hire you. As you work through your recent updates, posts and Tweets across your social media networks, keep your eye out for the following red flags. As a final note on pruning your profile, it’s important to always consider who you’re applying to when adjusting your presence. For instance, if you’re applying for a position as a UX Designer at Apple, it might help to avoid following, liking or retweeting posts from Google or Samsung. Takeaway: 24% of employers check your social media profiles, specifically to find information to NOT hire you! Social media sites, Facebook in particular, are well known to be places where questionable photos congregate. Now is the time to rid your Facebook, Twitter and (you’d be surprised) LinkedIn of any images that don’t promote a professional presence. Further, if you think you’re safe because you’ve used a different name in your profile, think again. 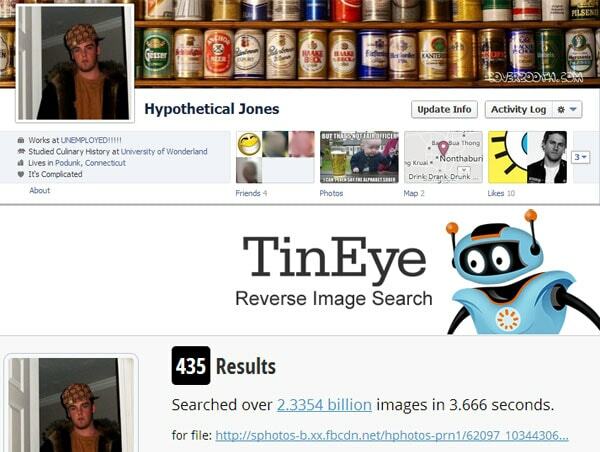 Thanks to reverse image search engines like Google Images and TinEye, it’s never been easier to take an image and figure out who that image belongs to. Therefore, if you do have an anonymous profile, make sure your picture is anonymous as well. When it comes to the content you’re posting yourself, it’s important to think before you publish. Some have found creative ways of doing this, such as putting your phone back in your pocket after drafting your post, waiting a moment, and then rereading before sending it live. Others read their Tweets out loud to themselves to “hear what they sound like,” before letting their inner monologue live out the rest of eternity online. Whatever your strategy, it’s important to couple it with proactive posting that can help you show off the superstar candidate you truly are. If you’ve been working on restricting, pruning and optimizing your social media profiles for a job hunt, you might be wondering when enough is enough. Unfortunately that’s hard to know. However, if you’re working with a professional recruiter, you’ll be able to avoid this guessing game to a certain extent. That’s because recruiters at staffing agencies like Onward Search have formed relationships with the hiring managers they work with, and therefore understand what those hiring managers are looking for in their candidates. Having a recruiter as your partner in your job search will help give you a first layer of defense, so to speak. These recruiters can help you optimize your portfolios and resumes for your job interview and yes, they can even tell you when something on your social media profile could risk you an opportunity. To get started with a recruiter on your job hunt, register with Onward Search today.